Can we talk about how much I love making recipes in my egg bite molds?! 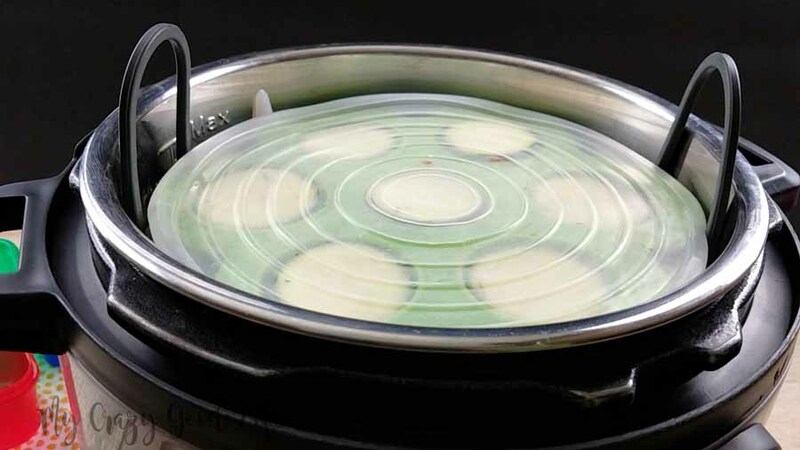 The Instant Pot makes life easy, recipes in the egg bite molds take it up another notch. 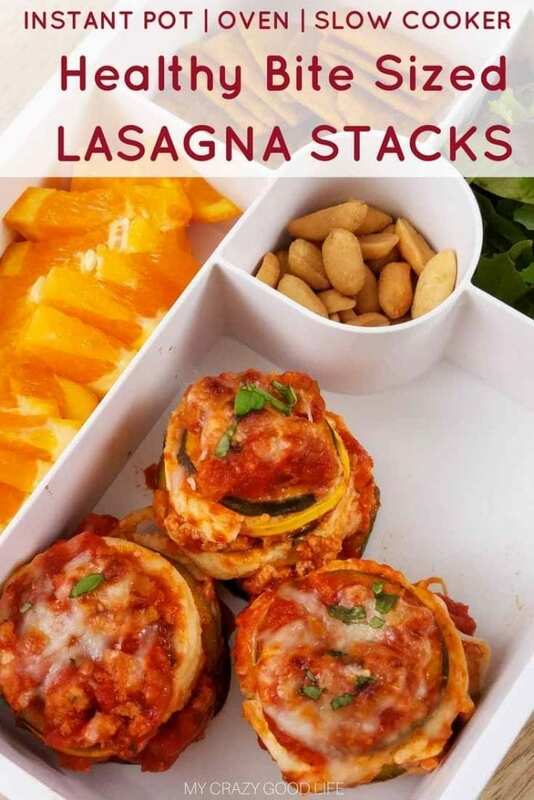 These lasagna stacks are essentially a fun new take on my Instant Pot lasagna. 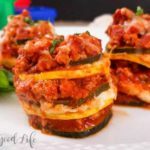 It’s an easy lasagna recipe that is perfect for meal prep! 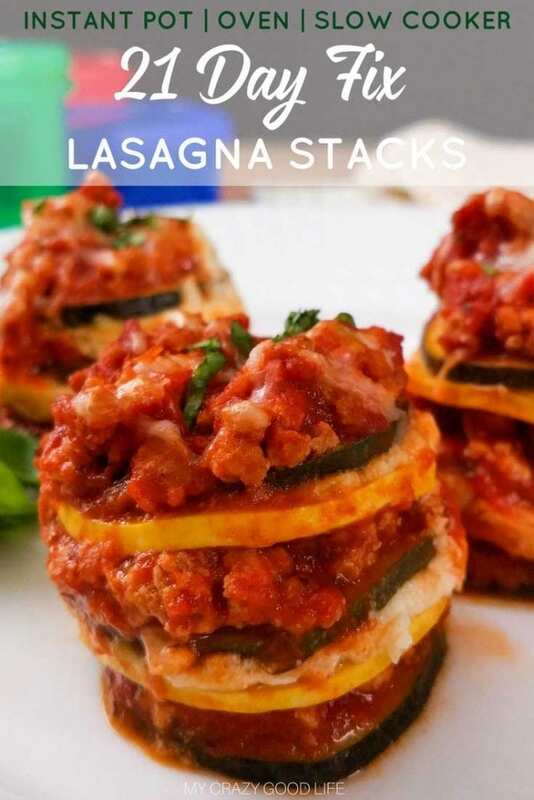 The whole family loves these lasagna stacks. They’re bite sized, cooked to perfection, and they are perfect for meal prep! I can’t get over how great these turn out in the egg bite molds. 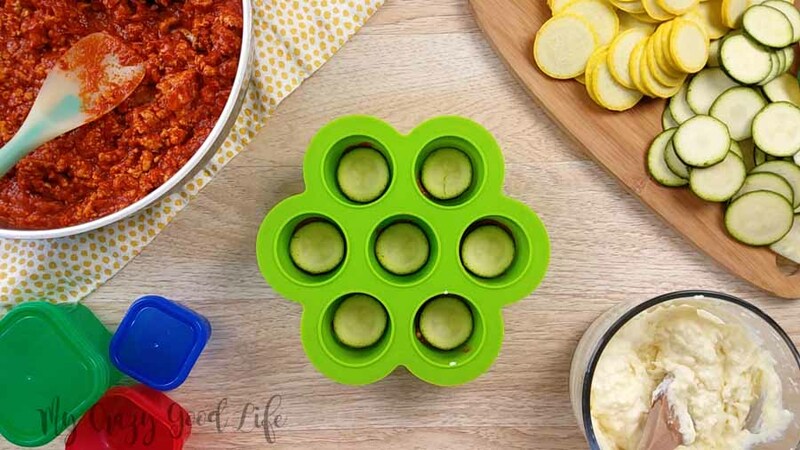 Make sure you check out all the recipes you can make in those handy molds below! 1) In a skillet brown the ground turkey, then mix in the marinara sauce. Set aside until ready to use. 2) Mix together the Italian cheese blend, ricotta, and egg to make a cheese mixture. 3) Next layer your ingredients together in your silicone egg mold or cupcake liners. Layer in order 1 tbsp meat sauce, 1 slice of zucchini, a dollop if cheese mix, 1 slice yellow squash. Repeat layers until each cup is full. 4) Cover the egg mold with a silicone food cover or aluminum foil. 5) Add 1 cup water to the bottom of the Instant Pot insert and a trivet with long handles. Place the silicone molds on the trivet but stagger them so the cups aren’t sitting directly on top of each other. 6) Close the lid and turn the pressure valve to sealing. Cook on high pressure using manual for 3 minutes. Let the pressure release naturally. 7) When the lasagnas are done cooking remove them from the Instant Pot and let them rest on a baking sheet for 10 minutes before removing from the molds. This will allow the zucchini to soak up excess liquid it released while cooking. 8) To remove the lasagnas from the mold, place another baking sheet on top of the mold and flip over quickly. Press the bottom of each cup and remove the mold. Sprinkle with cheese and broil until 3-5 minutes until the cheese is melted and brown. Enjoy. 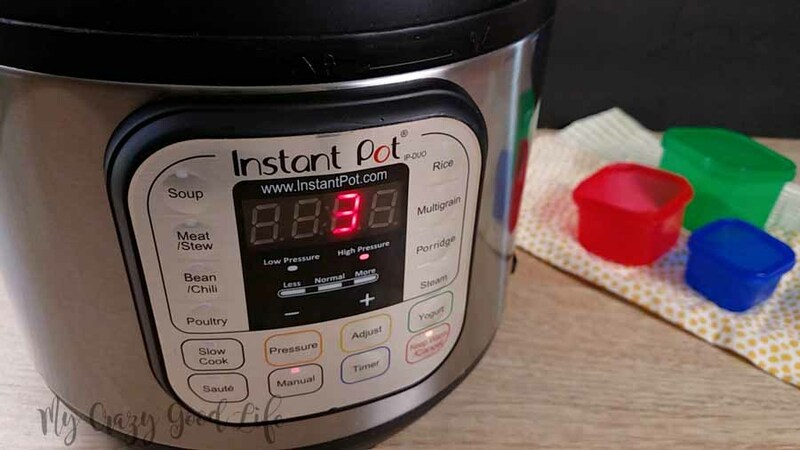 Where do I get those cool Instant Pot accessories? 3) Next layer your ingredients together in a cupcake pan, or your silicone egg molds placed on a baking sheet. 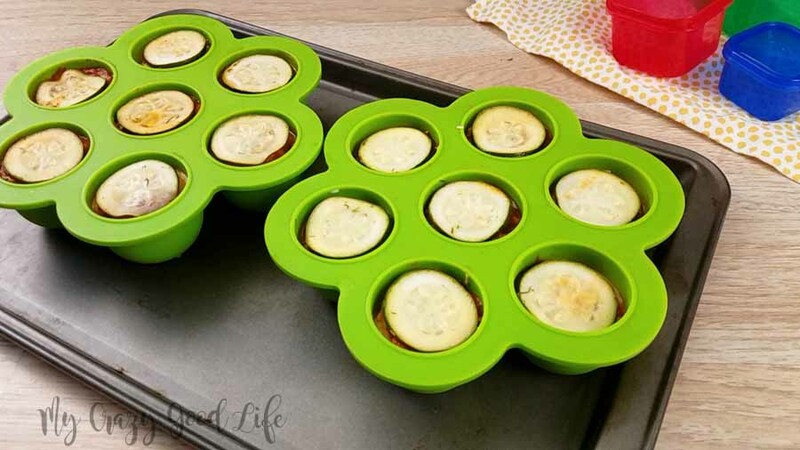 Layer in order 1 tbsp meat sauce, 1 slice of zucchini, a dollop if cheese mix, 1 slice yellow squash. Repeat layers until each cup is full then sprinkle each lasagna with shredded cheese. 4) Cover with aluminum foil. Bake the lasagnas at 350 degrees for 25-30 minutes. Remove the foil during the last 10 minutes to allow the cheese to brown. Let the lasagnas rest for at least 10 minutes before serving. 3) Next layer your ingredients together in silicone cupcake liners. 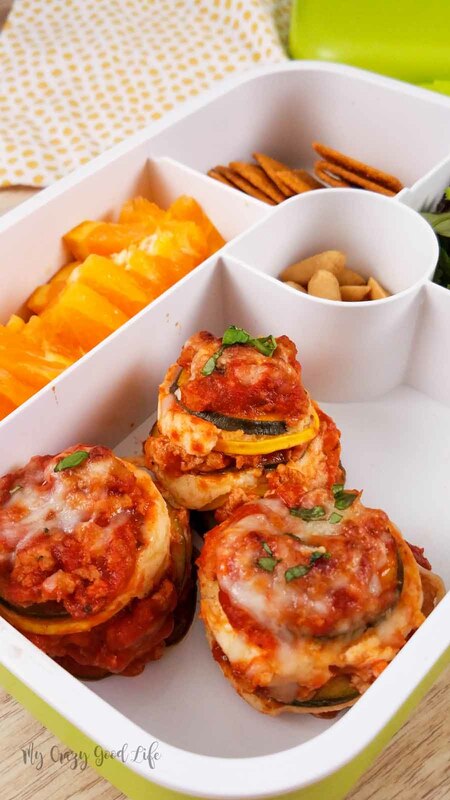 Layer in order 1 tbsp meat sauce, 1 slice of zucchini, a dollop if cheese mix, 1 slice yellow squash. 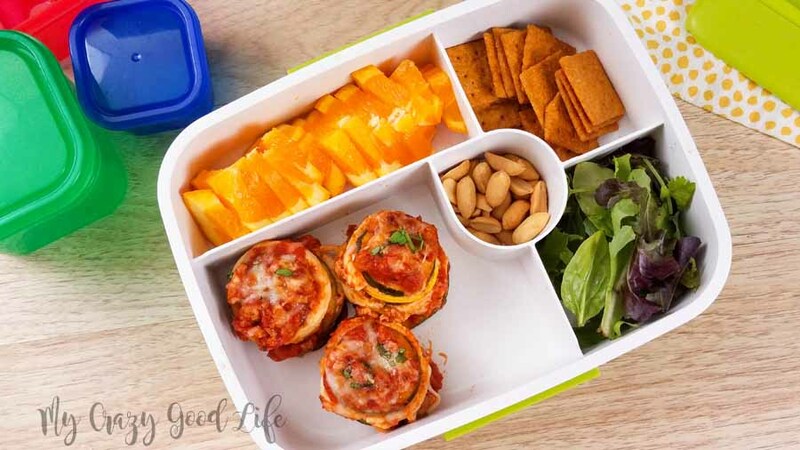 Repeat layers until each cup is full then sprinkle each lasagna with shredded cheese. 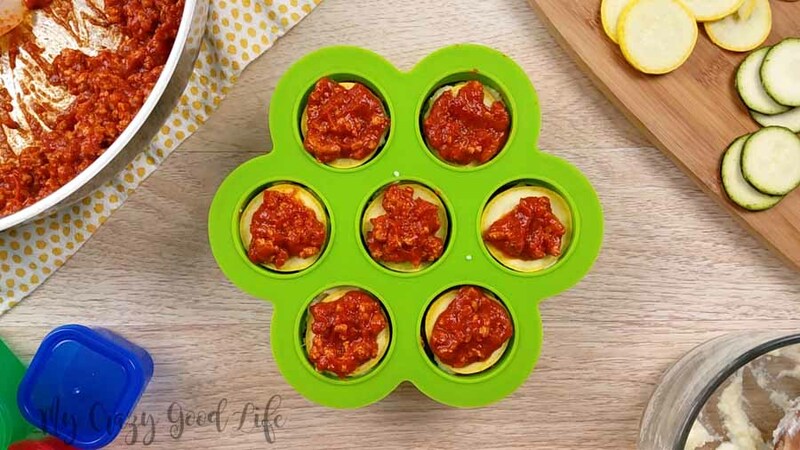 4) Carefully arrange your lasagnas in the silicone cupcake liners in the bottom of the slow cooker insert. Cover the slow cooker with the lid. Cook on low heat for 3-4 hours or high heat for 1-2 hours. You can make more than just eggs in those molds! They’re super useful. You can make everything from breakfast to appetizers and even dinner! Check out some of my favorites below. Here’s the breakdown for the 21 Day Fix program. Measure your squash in a green container and adjust your counts as needed! I used smaller squash so total I used about 2 1/2 G for the recipe. 5) Add 1 cup water to the bottom of the Instant Pot insert and a trivet with long handles. Place the silicone molds on the trivet but stagger them so the cups aren't sitting directly on top of each other. You could use a whole zucchini or yellow squash instead of half of each if desired. 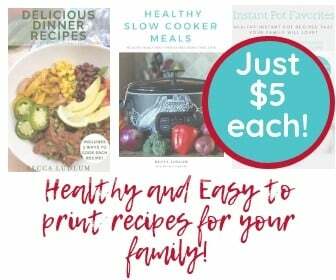 I love all the healthy things going on in this easy Instant Pot recipe! Yum! 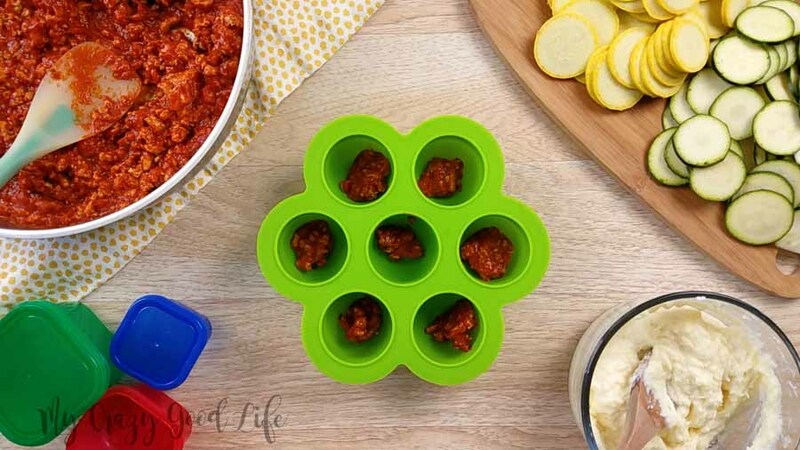 These are so crazy brilliant and I love that they can be made in the IP in those little egg bite containers we all have and love! So cool! So glad you like it!! I was dying to do more with those containers!